Off the coast of Brazil, search teams continue to hunt for the wreckage of Air France Flight 447. They have recovered 41 bodies so far, with 187 still not accounted for. The cause of the crash remains a mystery, but investigators are focusing on what could have been faulty speed sensors. The scene was somber as Brazilian helicopters began shuttling bodies recovered from the crash. The urgent hunt for the black boxes of Air France Flight 447 received a boost Wednesday — a French nuclear submarine scoured the search area, listening for the data and voice recorders' pings before they fade away. Brazilian searchers in charge of recovering floating bodies and debris said the surface search area widened into Senegalese waters. Ocean currents have pushed the remnants far and wide since the jet went down May 31 with 228 people on board. 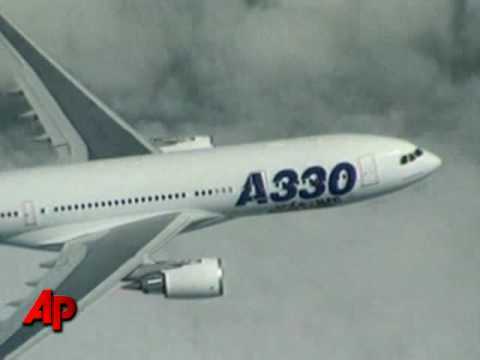 The black boxes provide the best hope of unraveling why the Airbus A330-200 aircraft apparently broke up in midair and plunged into sea.